He is known as the Father of Chemical Warfare for his work deploying poisonous gases during World War I. 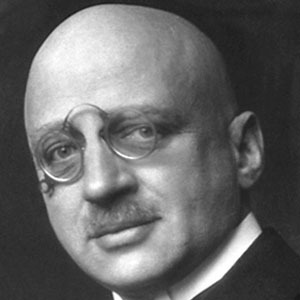 He won the Nobel Prize in Chemistry in 1918 for synthesizing ammonia, which is important in the development of fertilizers and explosives. He was raised in a Hasidic Jewish family. The food production for half the world's current population depends on his method for producing fertilizer from synthesized ammonia, which he developed. He married fellow chemist Clara Immerwahr in 1901. He won the Nobel Prize in Chemistry in 1918, a decade after Ernest Rutherford did.